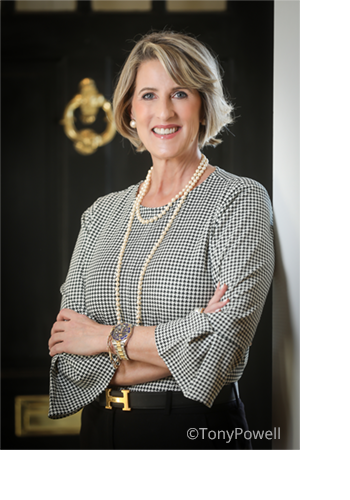 FOUNDER & CEO OF DONE IN A DAY, INC.
Caroline is the creator of the Perfect Listing™, the Total Home Transition℠ process and founder and CEO of Done In A Day, Inc., a Washington, DC based professional home transition company. Since 2005, she has partnered with over 2,000 homeowners and their real estate agents using her unique approach of preparing the house to sell for top dollar while orchestrating the move into the new home. A passionate truth teller, Caroline, believes that successful home transition outcomes are based on empowered homeowners. With her team, she creates a custom, step-by-step plan for each client to guide them through the two phases of a home transition (designing the house to sell and preparing for and orchestrating the move). Caroline and her team work closely with clients throughout each phase to keep them motivated, on task, and on schedule. Her collaborative process allows homeowners to feel supported and in control during this overwhelming life change. With hands-on experience in one of the most expensive and competitive housing markets in the country, she speaks regularly at Realtor sales meetings, roundtables, conferences, and other Realtor sponsored events. She’s taught classes at the Greater Capital Area Association of Realtors (GCAAR) on how to create The Perfect Listing™ – a listing that sells for top dollar in the least amount of days on the market. Caroline’s Total Home Transition℠ process has been featured in local and national media including The Washington Post, The Washington Times, Washingtonian, Washington Home & Garden, The Northwest Current, Home, Fox News, HGTV, The Wall Street Journal, Real Estate Today, and WMAL. Caroline understands the importance of a strategic plan and identifiable timeline, and provides the expert guidance necessary to successfully complete each transition. Her industry experience, attention to detail and vision are are invaluable. If you are serious about making the best use of your time and money in the transition from one home to the next, Caroline and her team are eager to work with you!